Welcome, feel free to browse our range of testimonials. To leave us a testimonial please fill out the form below. I plucked Harvey Electrical Services out of a local classified directory; I was a bit desperate as a tenant had just phoned me describing a problem with her electrics that turned out to be quite serious. It was already late afternoon and I needed someone to go to the property ASAP. The lads were at the property within an hour and according to my tenant they were great and lovely. I am very grateful to them thank you again!!!!!! Excellent service excellent rates!!!!! Karl did a great job would recommend him any time! Harvey Electrical Services wired up my garden workshop, top work done by Karl and his crew. Now my workshop is safe and ready with fit for purpose sockets, lighting, switches and breaker system. Truly would recommend Harvey Electrical Services as this is the second time they have done work for me at my home. I would like to recommend Karl at Harvey Electrical Services as I called on his expertise on a job I was organising for one of my landlords. The property was in a very bad state of dereliction as it had been trashed by the previous tenants and had been used as a drug den, which made the task very risky in that putting hands under floorboards was at best risky and at worst suicidal. Well, Karl and his team were fantastic, they came and assessed the job, gave an excellent written quote (easy to understand as well ) then set about the job of fixing cables and switches etc. They liaised with the heating engineer and did a fantastic job. I can confidently recommend Karl at Harvey Electrical Services as a solid, reliable and professional company, and experts in their field. I will use Karl again and will highly recommend him to my other landlords for their electrical and alarm needs. If you would like to speak to me about this recommendation please telephone 07789965810 anytime. Very pleased with the work carried out by Karl and his team they were very organised and professional and the price was very reasonable. 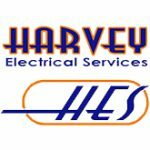 I would highly recommend Harvey Electrical Services. I write to commend Karl Harvey for the efficient work he carried out in one of our properties. The work was completed quickly and efficiently to the entire satisfaction of the tenant. I have no hesitation in recommending Karl Harvey and Harvey Electrical Services for their efficiency, professionalism and very reasonable prices. I will of course be using their services in the future. Great service, fast and very friendly will use again & again. Thanks for the help & good information. 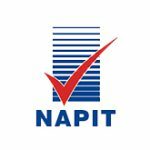 We are a small local company specialising solely in the management of residential properties and pride ourselves in the service we offer to our landlords and tenants alike. A vital part of that is using good local contractors like Harvey Electrical Services who have the same ethos and can be wholly trusted to provide good quality work with sensible prices. 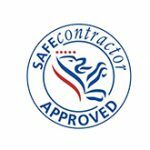 We have worked with them as our main electrical contractor for over 6 years and would recommend them without hesitation. WardHorne Residential Lettings, Richmond, North Yorkshire. When I require any electrical work done Harvey Electrical Services is the first company I call as their work is second to none. Prompt, courteous, knowledgeable and highly professional; I would not hesitate to call Karl and his team again, and would recommend them to anyone. Outstanding service, thanks guys (and gal). Morning Karl, the engineer from NEDL said that the electrician who spotted the wiring did a good job, this was either Gav or Dan who (once again) stepped in at short notice and helped us out. I cant speak too highly of those two, they always make the effort to look after Swiftlets without complaint and their work is regularly praised by our clients. I had to call Gav out of hours from the property last night and he advised the NEDL engineer on his findings which made the job easier for all concerned. Just a quick e-mail to say that we appreciate the work that you do for us, inparticular Gav and Dan. Karl and his team were chosen to do a full rewire of our new home. From initial quotation to after service care, Harvey Electrical were superb in every aspect of their work (including Price!) . Our house was left very tidy and the work completed very quickly allowing us to get back to normal within a short space of time.. I would not hestate to recommend Karl and his team in the future. If you want a professional job at a reasonable price, look no further. Dear Karl Thank you for organising your guys to undertaken the change of our old Distribution Board to a shiny new one. We are very pleased with the workmanship of your staff and would like to commend them for arriving on-time exactly as you had promised, were extremely polite and everything was completed as quoted, they even hovered-up! I can highly recommend your services and will be passing your details onto friends, colleagues and family members. Thanks for all the work done at The HUB. We really appreciate the fast response and great customer service. Dear Karl Last Friday I was pleased that at last I could give you a referral albeit a very small job …or so I thought!! You came round that same day to assess the job of connecting my new cooker… At this point it became apparent that the cooker I had been using for the last 6 years was not on a proper cooker socket and as such one needed to be put in….Nothing is ever straightforward in my house and from past experience had visions of spending Xmas in absolute turmoil as I had already pulled the kitchen units out in readiness. You remained calm and said that you would go away, look in the diary and let me know when they could come, you advised the same day that you would arrange for the lads to come over on Thursday. On Wednesday, you confirmed the appointment and told me you would let me know when they were on their way so that I could leave work in time rather than wait in. You kept to your word and the Lads turned up today at the given time, they were straight in assessed what they were dealing with and it wasn’t by any means straightforward, but they just got on with it and kept me informed at all times ,maintaining a positive and professional approach throughout. They were very polite and left no extra mess for me to clean up, a breath of fresh air. 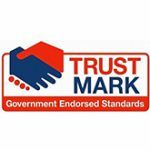 Although I have heard good reports about Harvey Electrical Services and I have never been in any doubt how good they are, I urge everyone to use their services to truly appreciate the quality of the Overall experience as it is truly first class. I cannot thank you all enough, you have actually saved my Xmas. Very Best Regards Sara Bennett and all of my family. Completed *ALL* my Insurance works after flooding. Harvey Electrical Services was all I needed for everything that needed doing and it was done in no time at all and nothing was out of the way very friendly helpfull and courteous. They also project managed any other work that was required by the loss adjusters Highly Recommended to all. Thanks to all at Harveys for all your hard work. We use Harvey Electrical Services on a regular basis for electrical works needed at the properties that we manage. We select the tradesman that we use very carefully and this Company always provides an excellent service. They are professional, on time, clean and tidy and are always willing to assist with call outs out of office hours and at short notice when required. I certainly would not hesitate to recommend their services to anyone in need of a professional electrician. Thanks Karl for a prompt reply and a job well done. Harvey Electrical Services started trading roughly the same time as we took over The Shoulder of Mutton at Kirby Hill. Karl was highly recommended to us and I don’t think we’ve used another electrician now for nine years. Karl has been out to us at all times day and night for emergencies, Saturday night in the middle of a busy food service Karl turned out when all the electrics had blown fixed the problem, he’s turned out for us on New Year’s Eve and Sunday lunch times for an emergency. One of the most important qualities of Harvey electrics is there professionalism, you are told a day and a rough time and they are always there unless they have an emergency but then they phone and let you know, they also get back to you every time you leave a message. Harvey Electricals have done us full scale re-wires, all types of testing from PAT testing to full system wiring tests, re-fitted nearly all our light fittings, set aerials and tuning for all our T.Vs, earthed a whole restaurant of lights and every small job imaginable, and they always leave the job clean and tidy. Harvey Electrical Services is a hard working company, and I think they deserve every success. Thank you for doing such a brilliant job with all the electrical work involved in our new fitted kitchen. We arranged for four different companies to come and give us quotes for the work but Harvey Electrics came round on time and got a written quote to us the same day and it was all itemised out. You were very professional, clean, tidy and very flexible fitting in with the other tradesman. We won’t be bothering getting quotes from other companies going forward and will call you guys straight away for sure! We would highly recommend Harvey Electrical Services. Thank you for recommending Harvey Electrical Services to supply and install a much needed consumer unit, and earthing of both the gas and water supplies. Karl provided us with a detailed estimate of the work to be carried out. The team then proceeded to deliver exactly what the estimate said. The work was completed in no time at all, and the team left my house clean and tidy. Their professionalism, efficiency and demeanour were a pleasure; the workforce is a credit to the company. We will definitly use them again and recommend them to others. Thanks again. Michael and Samantha Chatt. Just to say we found Andy to be very friendly, professional and personable. The work carried out is excellent and we will have no hesitation in recommending his/your services going forward. First time I have used Harvey Electrical Services but it won\’t be the last. Karl and his team were prompt,efficient, polite and their work was excellent. I have called on the help of Harvey Electrical Services on 3 occassions, the most recent being an urgent problem late on a Friday. Every time my job was handled promptly and professionally by Karl and his team who kept me advised of the situation at all times. It is rare these days to be left with such a positive impression and I am happy to offer them my praise and thanks. Offering such a fantastic service to customers deserves recognition and continued success. Harvey Electrical Services are now my number one choice for all electrical work and I have no hesitation in recommending them to anyone. Since owning our house we have had the constant problem of having the landing light only operable from one switch at once, i.e. you can’t turn it on upstairs and then turn it off downstairs. It has been a constant irritation. Three electricians have said it cannot be done without chasing out the walls and rewiring. I asked Harvey’s to come take a look and suggested that if nothing could be done they could then chase the walls and rewire. All the traditional wiring methods were tried on a first visit to no avail. Rather than go for the more financially lucrative option of chasing the walls and creating a bigger job, Karl opted to send his team back out to try an alternate, less traditional, method which worked saving us both money and inconvenience. Karl achieved that without ever having seen the job himself. It’s a testament to their collective knowledge and attention to customer service that HES were available to complete a task where many others have failed. No more will I have to trudge back downstairs last thing at night to switch the lights back off having forgotten which switch I had used to switch them on. I have no hesitation in continuing to recommend Harvey Electrical Services to all of my contacts. We recently used Harvey Electrical Services to PAT test all of our office equipment. They were highly recommended to us and the service we received was excellent. They arrived on time, were very professional, efficient, friendly and made sure all of our electrical items were safe. Fantastic company, we would definitely use again and wouldn’t hesitate to recommend to friends, family or colleagues! Thank you Harvey Electrical Services! I am writing this testimonial to thank you for the recent work you carried out on our garage conversion. As you are aware we wanted to convert our existing integral garage into a play room for our son Benjamin. You were not only quick to make a site visit but your input in terms of ideas and layout were invaluable. You and your team visited our house twice and were both proactive and efficient, and the end results are fantastic. The sockets and switches are of a high standard and work perfectly, but the LED colour changing lighting system is something else. Benjamin’s first reaction was…. “it’s a Shrek room Daddy” …. (it was on green) … there are so many colour / flashing varieties but for his reaction alone it’s worth every penny. I cannot thank you enough for a great service in going above and beyond…. and I would not hesitate in promoting your services. Keep doing what you are doing. Thank you for recommending Harvey Electrical Services to supply and install a much needed consumer unit, and earthing of both the gas and water supplies. Karl provided us with a detailed estimate of the work to be carried out. The team then proceeded to deliver exactly what the estimate said. The work was completed in no time at all, and the team left my house clean and tidy. Their professionalism, efficiency and demeanour were a pleasure; the workforce is a credit to the company. We will definitely use them again and recommend them to others. Thanks again. Michael and Samantha Chatt. Just a quick e-mail to say that we appreciate the work that you do for us, in particular Gav and Dan. Karl and his team were chosen to do a full rewire of our new home. From initial quotation to after service care, Harvey Electrical were superb in every aspect of their work (including Price!) . Our house was left very tidy and the work completed very quickly allowing us to get back to normal within a short space of time.. I would not hesitate to recommend Karl and his team in the future. If you want a professional job at a reasonable price, look no further. Completed *ALL* my Insurance works after flooding. Harvey Electrical Services was all I needed for everything that needed doing and it was done in no time at all and nothing was out of the way very friendly helpful and courteous. They also project managed any other work that was required by the loss adjusters Highly Recommended to all. Thanks to all at Harveys for all your hard work.